The Premier has finally discovered social media can be used as a way to connect with voters. 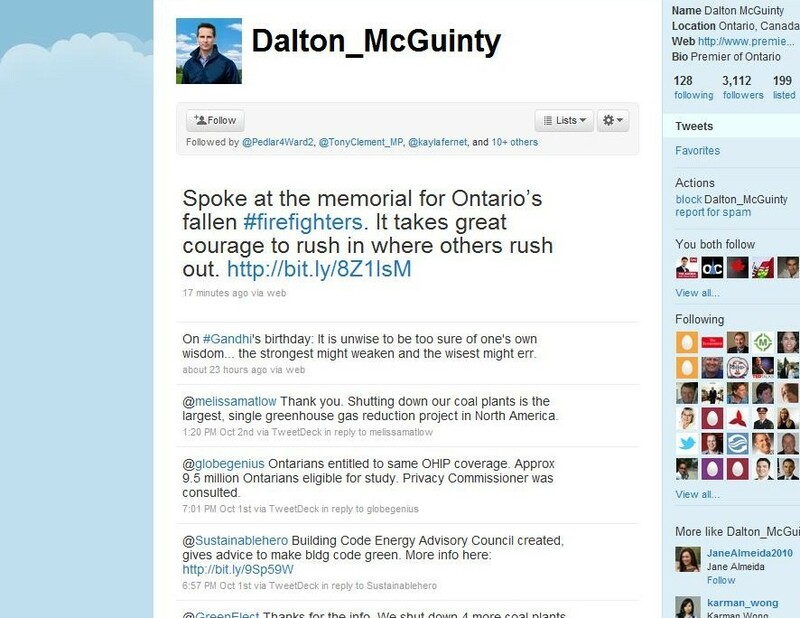 Although this is a new frontier for McGuinty, Tim Hudak has been leading the way on online social advocacy in Ontario. 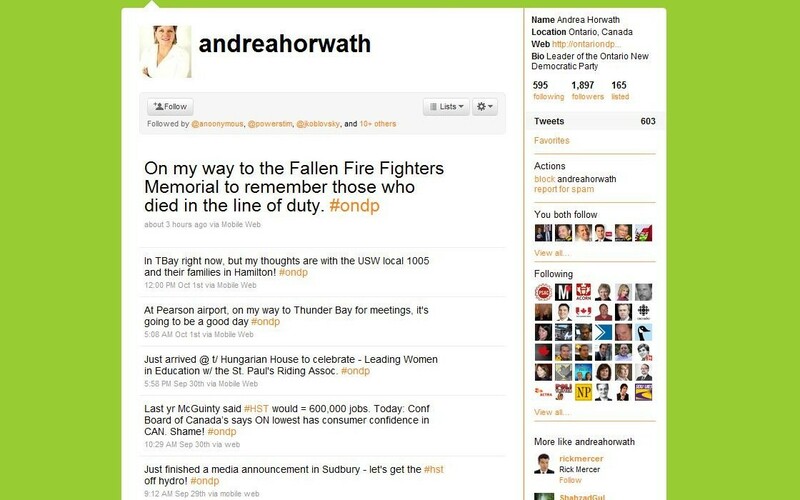 The rock ‘n roll and twitter wars I can’t take it anymore, here is a comparison of each of the twitter accounts of all the party leaders in Ontario. 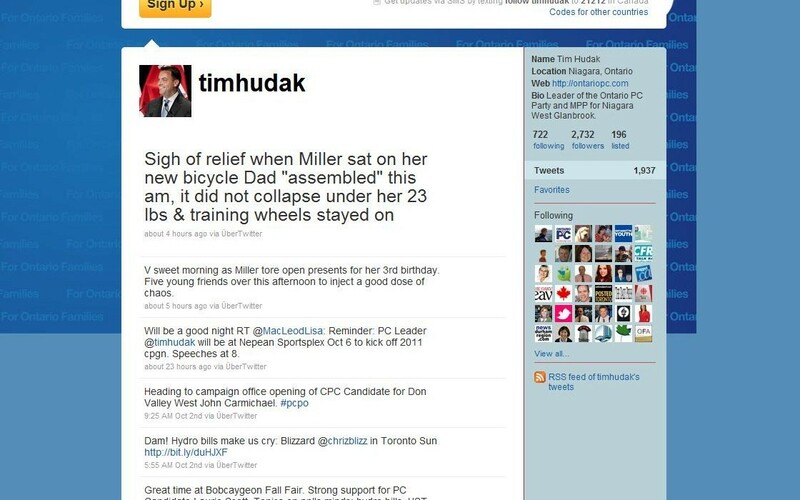 It is clear Tim Hudak is a leader online and in the polls. A general strategy for any politician is not to follow anyone under the sun, but make a concerted effort to reach out to your core supporters and base. This populist approach might pay off during election time. Follow Tim on twitter he might follow you back.